SITI BALKANIA, was founded in 2009 as the Romanian branch of company SITI SpA, the Italian producer of gearboxes and motor gearboxes, variators suitable for a variety of industrial area. Experience in the field of mechanical transmission, over 40 years on the world market and over 8 years on the Romanian market. Professionalism by providing quality products at competitive price with prompt deliveries. The SITI team has always been focused on quality and innovation, which has enabled highly efficient products to meet the most demanding demands. The wide range of transmission reports offers customers the choice of large, medium or low output speeds as well as extremely low revs, speeds that can be obtained by combining gears, even in extra-catalog executions. We can add that Siti is distinguished by its technical and productive flexibility, which allows the company to realize a wide range of versions and solutions that match the specifics of each individual customer. SITI gearboxes are interchangeable with Bonfiglioli, Gyros, Motovario, STM, Spaggiari, SEW, Rossi, Nord, Varvel, Flender, Reggiana, Brevini, Comer, Pujol, Chiaravalli products. Mechanical speed variators with or without reduction stages, with differential gearbox or remote control. Single phase or three phase motors, brake motors, servo ventilated motors. Focus on continuous improvement and innovation, we are at your disposal for any technical and commercial details. 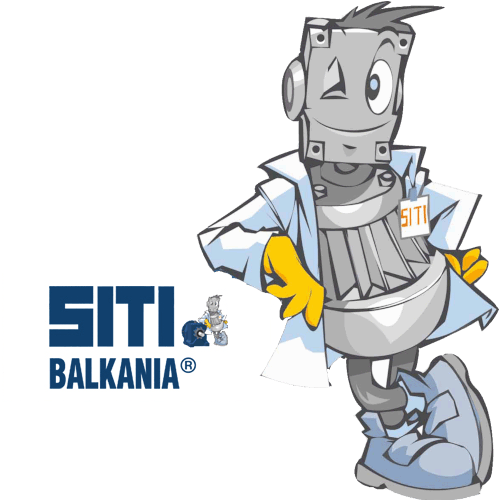 SITI BALKANIA , was founded in 2009 as the Romanian branch of company SITI SpA, the Italian producer of gearboxes and motor gearboxes, variators suitable for a variety of industrial area.